Tired of shoveling snow the hard way? Get a new Cub Cadet snow blower at Jax Ranch and Home in Fort Collins. 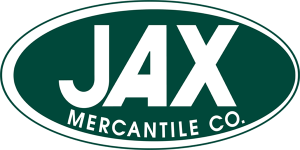 Jax has all the snow blowers and power equipment you need for farm and ranch work (and home work, too). We are proud to carry the STIHL product line of chain saws, in gas powered and cordless models for all applications—and you get service after the sale, too. The friendly and knowledgeable staff is always ready to help you select the equipment that meets your specific needs. Your equipment comes fully assembled and ready to use, and our staff can give you in-store safety and operating demonstrations so that you can get started on your tasks as soon as you get home.